This week I’m taking on one of the biggest business dilemmas of our time…how to engage employees. Join me to discover the secret to employee engagement and organizational transformation! 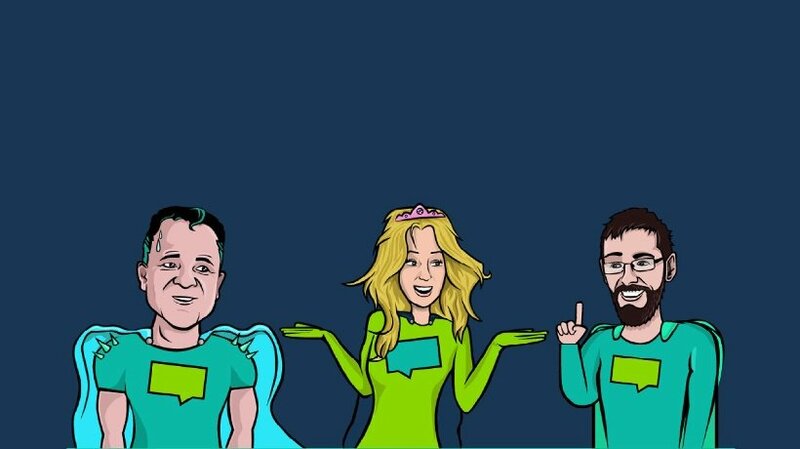 Modern business leaders face many a daily conundrum… Which superhero cape should we wear for public-speaking success? What exactly is #UnicornToast ? Yet, the biggest riddle of all is how to engage employees. I know your pain. When it comes to our workforce, we all want employees to share our passion for the company mission and help us change the world. We want employee engagement! And with good reason – engaged employees are more productive and less likely to jump ship. So how can we master this elusive employee engagement … or is it as unrealistic as catching a unicorn? Cape-up, Obama style , and wear the same awesome outfit everyday! #UnicornToast is a gloriously gooey mix of Marshmallow Fluff and sprinkles. No wonder it’s gone viral. Whether your employees are office-based or outside battling the elements, make work a place they love to be! This may sound like an HR fantasy but it is possible to create a company culture where people feel happy at work. You can achieve this by making the workplace inclusive, supportive and fun. Give staff a personal reason to come to work by putting their development at the heart of the employee experience. All this builds a learning culture where staff feel valued and supported to reach their career potential. We all like to feel valued for who we are rather than how much money we make. Employees are no different. In fact, research shows 83% of engaged staff say “my supervisor cares about me as a person”  compared to just 3% of disengaged workers. It’s clear getting to know people is worth it! So, if you want staff who care about their work, you must first show you care about them as people! Get to know your employees. Find out what matters to each employee professionally and personally. Who’s their favourite superhero? Who broke a world record? What are their career goals? Ask and listen! Knowing someone and trusting them are two quite different things! So, as well as getting to know your team, have faith in their abilities. Engage employees by empowering them to take responsibility for their work and new challenges. Give people the autonomy to get the job done in their own unique way. All this trying and doing it for themselves develops employees’ skills through experiential learning. Remember that empowering employees means steering clear of micromanaging! Warning: Other people’s way of doing things may be different from yours (but it just may be better!). Of course, employee engagement isn’t all about managers getting to know the staff. It’s about creating connections throughout the organisation, across all levels. Close connections at work are extremely important for boosting employee engagement with research showing work friendships can increase our happiness by up to 50% . What’s more, work connections encourage staff to share knowledge, learn from each other and work together. All this creates a culture of strong communication and teamwork which is good for employee satisfaction and productivity . So whether staff are chatting online or face to face, create an environment that supports communication, celebrates staff expertise, and encourages collaboration. Go on, help staff find their very own work BFF! Role ambiguity is often cited as a common cause of workplace stress . Failure to address this issue also leads to task duplication and wasted resources. It’s bad news for both employee engagement and business success! If you want to avoid staff burnout and engage employees you need to set clear expectations! Research agrees, with a recent Gallup study revealing ‘clear expectations’ as the most ‘foundational’ factor for employee engagement . By setting clear employee SMART goals, KPIs, and expectations from day one staff can better plan and measure their progress. Give each employee the right tools, information, feedback, and training to excel in their role. Ensure each employee knows what to do, how to do it, and how their work contributes to the company’s wider goals. Modern workers are motivated by purposeful work and career progression opportunities. In fact, 65% of today’s employee’s cite career opportunities and training as their key motivators . So, to engage employees, give them what they what – personalised training and development to suit their needs! Developing staff skills boosts the expertise, productivity and engagement levels within your organisation. You can use your knowledge of employees’ career goals or interests to tailor training towards staff preferences. This personalised approach keeps employees motivated as they work towards their personal goals within the wider context of the company’s needs. Working towards targets can be tough! 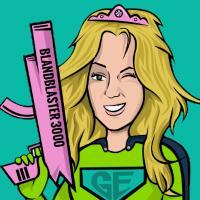 So, keep your employees motivated with a little fun and healthy competition. Studies show 90% of people say a fun work environment is very or extremely motivating . There are so many ways to have fun and everyone has their personal favourites. For me, it’s throwing on a cape and taking to the slopes on my snowboard! Find out what tickles your team and unleash the fun at work! However wacky or simple the suggestions, why not vote on it? Don’t blame me when you’re taking part in a company #UnicornToast eating challenge! 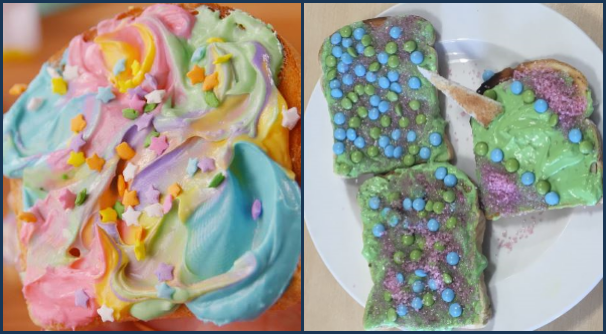 Unicorn Toast Proper VS Our GE Style Version! #FoodFail? One of the best ways to engage employees is to show you value their opinion by asking for their feedback. Gathering meaningful feedback on everything from training to the staff social helps ensure you understand employee needs. Remember to act on the feedback to maintain employee engagement. Taking action matters, with 70% of engaged staff saying they feel their feedback is acted on, compared with just 2% of disengaged staff . Online solutions and mobile apps mean staff surveys no longer have to be as long, probing and off-putting as a dreaded finals exam! You can avoid low response rates by making the survey anonymous and as simple as possible. Instead of a long-winded ‘21 Questions,’ you could ask employees to simply vote anonymously online. We all like to hear those two powerful words every now and again – ‘good job!’ In fact, research shows many employees value recognition as more important than money . So however big or small a success, make sure you praise your workforce for a job well done! Share the company successes. Encourage everyone to celebrate each other’s successes. By celebrating company-wide achievements you will encourage a supportive work environment and motivate staff. Recognition is a powerful way to engage employees, with research showing 76% of people find peer praise extremely or very motivating . So, however you choose to spread the praise – be it with awards, in one-to-one sessions, or an old-school round of applause – celebrate success! A sense of purpose underpins all we do. Your workers are no different! They want purposeful work that makes a difference. As business leaders, we usually know how we’re changing the world, but do our employees? Make sure your staff understand the business goals and where they fit into the company’s world-changing mission. Engaging online training can offer employees meaningful learning packages tailored to their personal needs and wants. Social learning provides the perfect platform to create colossal collaboration…and friendships that last a lifetime (well at least for the employee lifecycle!). Mobile learning apps can bring personalised training and a little work fun to staff wherever and whenever they need it. Gamification offers innovative and engaging ways to recognise and reward staff through points and praise badges on your LMS. These are just a few of the ways today’s learning technology is transforming organisations and unleashing superheroes. 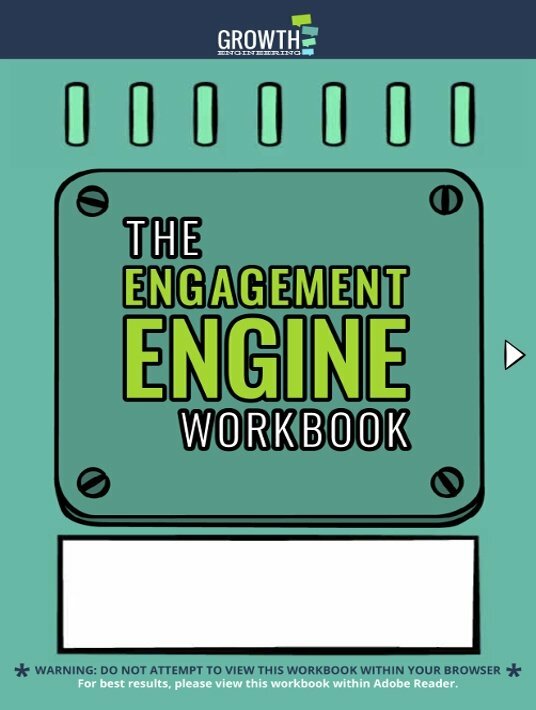 If you’re eager to learn more, check out our Engagement Engine Workbook to start engaging employees today! Teamworking improves productivity and employee satisfaction?